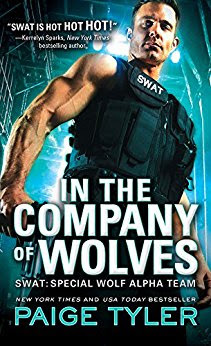 This December, Paige Tyler releases the third in her action-packed SWAT series, IN THE COMPANY OF WOLVES. To celebrate, we have the first 5 chapters of IN THE COMPANY OF WOLVES to share with you! To get you started, we’ve included the first few pages below. Can’t get enough of SWAT? Sign up for Paige Tyler’s newsletter to receive an exclusive bonus scene on November 23rd.